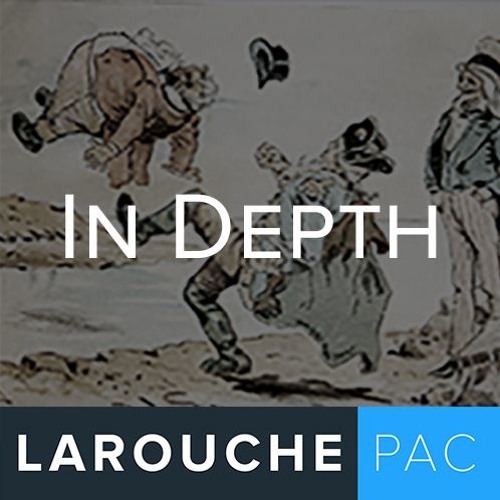 LaRouchePAC Monday Update - With only eight days to go until the State of the Union, the battle for the soul of the Trump Presidency continues to rage. Despite Trump's personal inclination towards cooperation with Russia and China, the National Defense Strategy summary just released by Secretary Jim Mattis runs directly contrary in its inflammatory language towards those countries, stating that "great power competition" will be the primary focus of US national security. With this, rather than an end to geopolitics and a new era of "great power cooperation" as Helga LaRouche has demanded, this document fans the flames of a new Cold War which could swiftly provoke a thermonuclear WWIII. Voices from across the political spectrum are warning of this danger, from former Defense Secretary William Perry, Stephen Cohen, to Rep. Tulsi Gabbard. Helga LaRouche today called for President Trump to renounce this inflammatory National Defense Strategy, fire Mattis, and for Tulsi Gabbard to be appointed as the Secretary of Defense in his place. The Russiagate coup must be defeated, and the United States must finally embrace the new strategic paradigm of peace through development and win-win cooperation to achieve the common vision of mankind. Download Countdown to State of the Union: Will Trump Renounce Geopolitics? Users who like Countdown to State of the Union: Will Trump Renounce Geopolitics? Users who reposted Countdown to State of the Union: Will Trump Renounce Geopolitics? Playlists containing Countdown to State of the Union: Will Trump Renounce Geopolitics? More tracks like Countdown to State of the Union: Will Trump Renounce Geopolitics?